Nice place to live and in a convenient locationsubmitted by Jesse W. - Mar 14, 2019 |Recommended: YesApartment layouts are nice and spacious. Great location by the highways and the loop. Office and maintenance staff are great. Been Here 6 years now and I really love living here. The view is beautiful and the apartment is cozy. The girls at the office are great.submitted by Lisa P. - Feb 27, 2019 |Recommended: YesIt's pretty awesome. Great place to live. They do a beautiful job on the grounds come Spring Summer and Fall time. Always looks amazing. Love itsubmitted by MD - Feb 19, 2019 |Recommended: YesI had never lived in an apartment before and I have been here for almost 4 years now. I was expecting to just be here for a year but the staff and maintence have made it feel like home. Artie is amazing and knows what he’s doing He’s also a friendly face to see around the community along with all the other staff. The apartments are extremely quiet and any problems are solved quickly. Thank you for making the transition I had dreaded into an amazing experience.  Summit Place Reviewsubmitted by Fred C. - Jan 01, 2019 |Recommended: YesI've been here for 4 months now and love it The apartment is beautiful, the staff and maintenance personnel are friendly and very responsive. I would definitely suggest Summit Place to anyone looking for an apartment. .submitted by Ana T. - Sep 06, 2018 |Recommended: Yes. Very spacious unitssubmitted by Patricia S. - Jan 31, 2018 |Recommended: YesQuiet, friendly neighbors. The layout and size of the unit Wachusett makes it a great choice for those downsizing from a large home. Amazing staffsubmitted by Gurdeep S. - Dec 01, 2017 |Recommended: Yesthis was the best place I ever rented . super clean. nice and helpful staff . I never had Any problem living here . Gorgeous Surroundings submitted by Amanda R. - Nov 07, 2016 |Recommended: YesI get to take in an amazing view from where my apartment is. Maintenance is very fast in responding to any requests. Staff is very available to help. The occasional activities offered to residence is a nice touch, my kids love it.